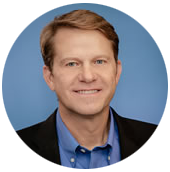 Jonathon Knight serves as Accela’s Chief Customer Officer, responsible for establishing metrics for customer relationships, managing how products and services are delivered, and helping to define and streamline the Company’s overall operational approach. He has held a number of executive positions in venture funded and public companies. Previous to Accela, he was the VP of Global Services and Customer Care at Ooyala, a privately-held technology company in the Bay Area, where he oversaw all aspects of post-sales. Prior to that role, he held senior-level customer and services management roles at SaaS and enterprise software firms including, Infinian Technologies, Agile Software and JRG Software, Inc.